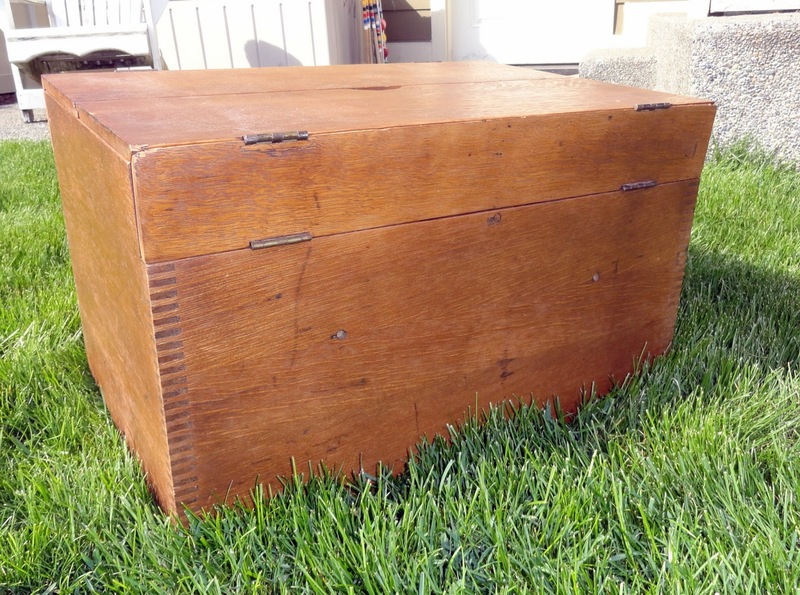 It's easy to take a plain vintage find and give it new life with a little paint. 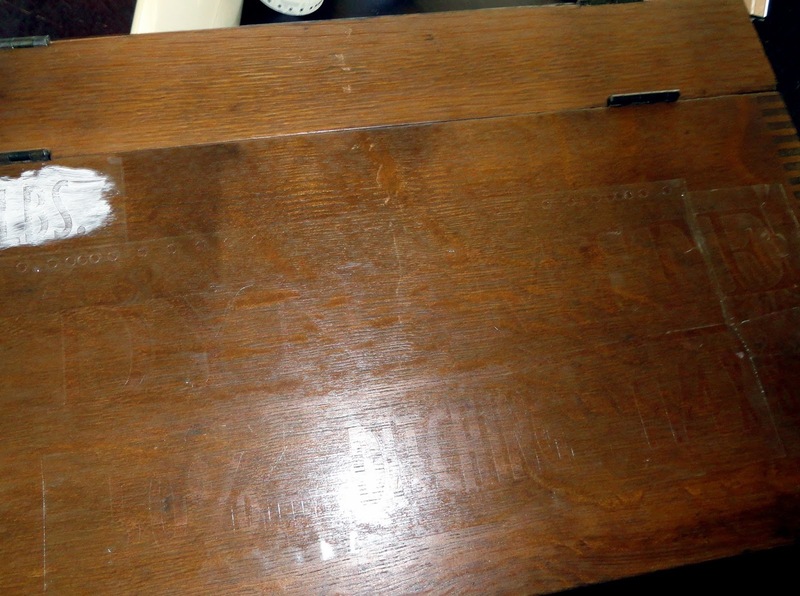 I had this nice solid wooden box that was super plain. It was screaming for some history. 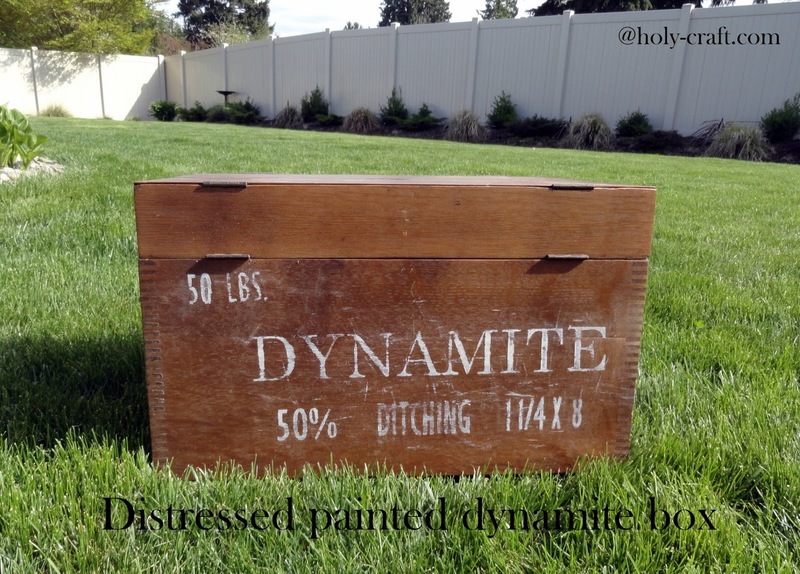 I decided that it looked like an old vintage dynamite container that I have seen at antique shops and garage sales before. I used some simple techniques to give this plain box a little more charm. It's hard to see, but if you look closely there is a clear stencil that I cut out on my Silhouette machine. 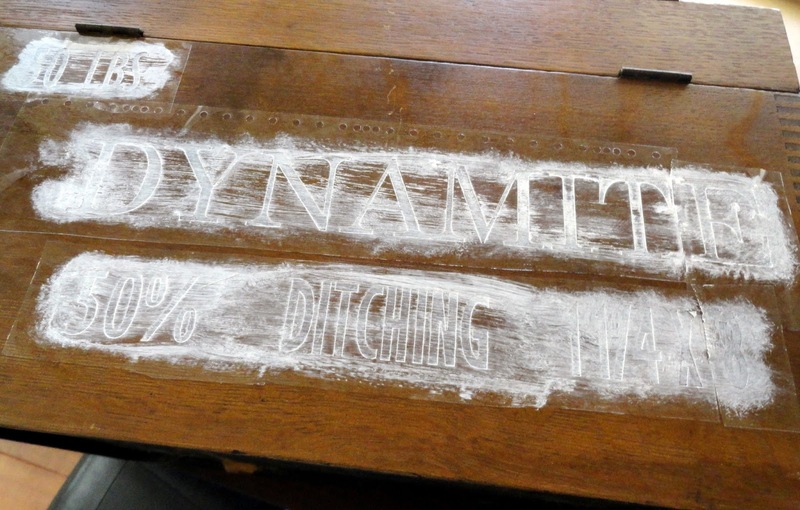 I used a very dry brush and painted over my stencil with white paint. 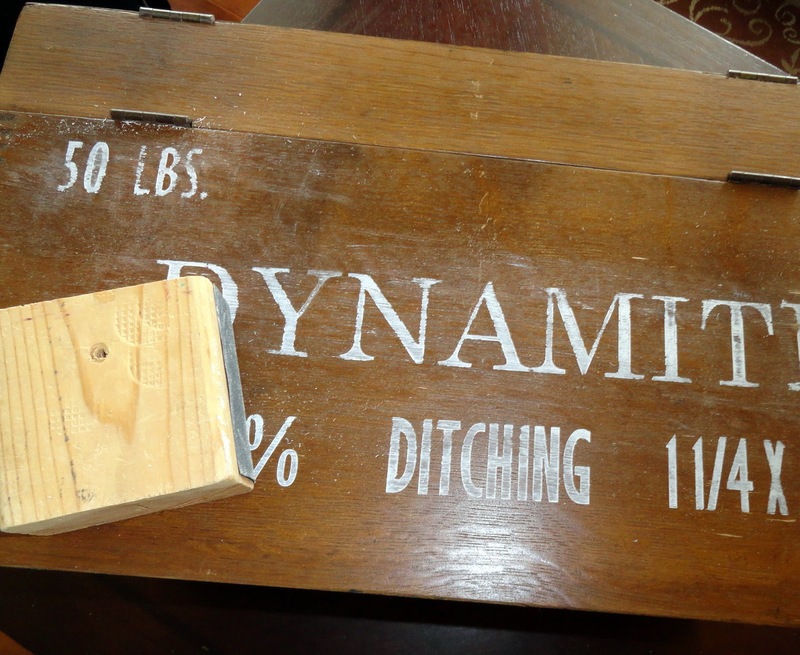 I wanted this box to look like it had some history so I used as little paint as possible to make it look authentic. If you are a perfectionist, this isn't the kind of craft that will be good for you! 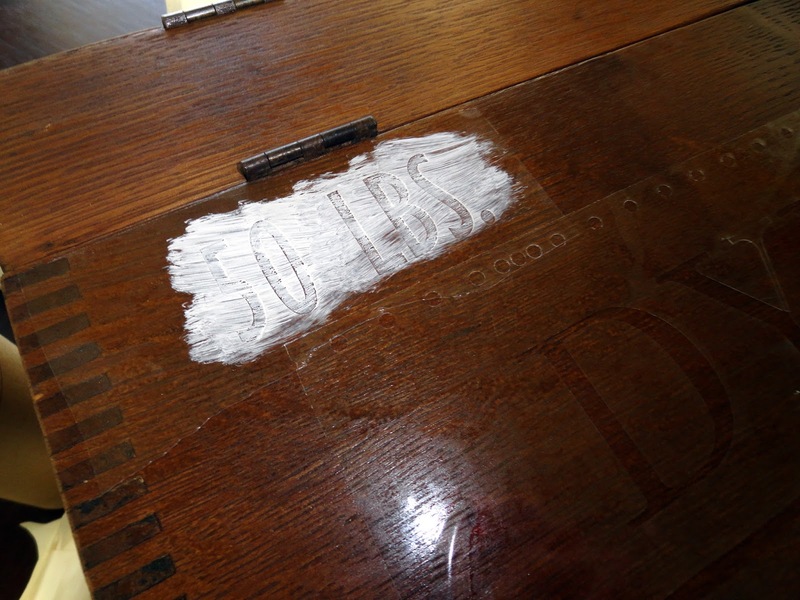 Remove your stencil and use sand paper to distress the letters and painting even more. 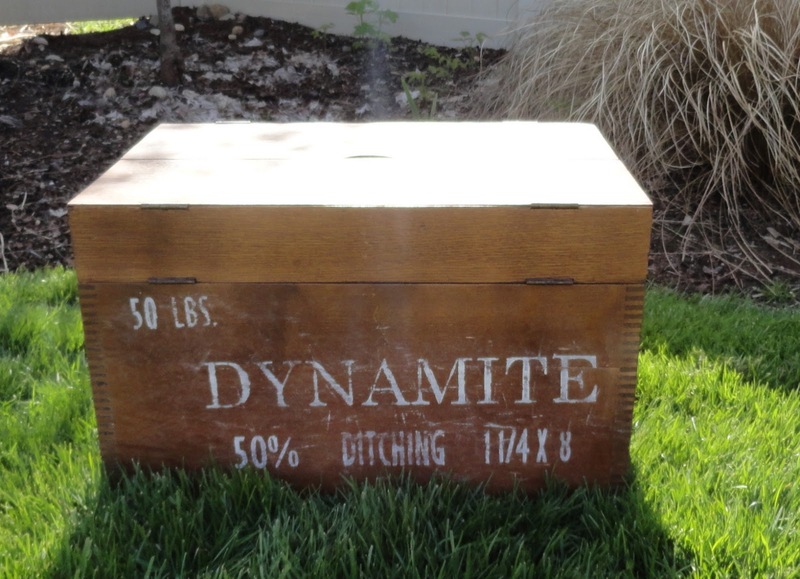 Think it was always a dynamite box?